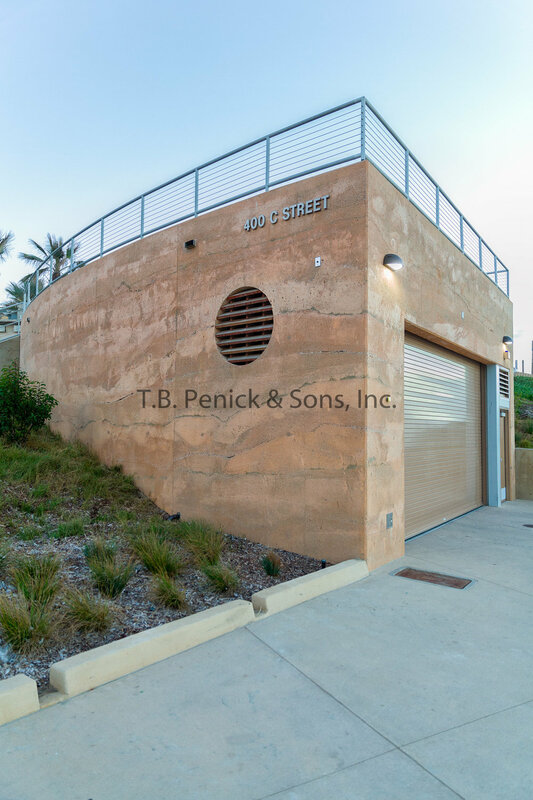 Client : Stephen Dalton Architects, Inc.
Our crew that worked on Moonlight Beach went above and beyond the normal procedures to make this project happen. 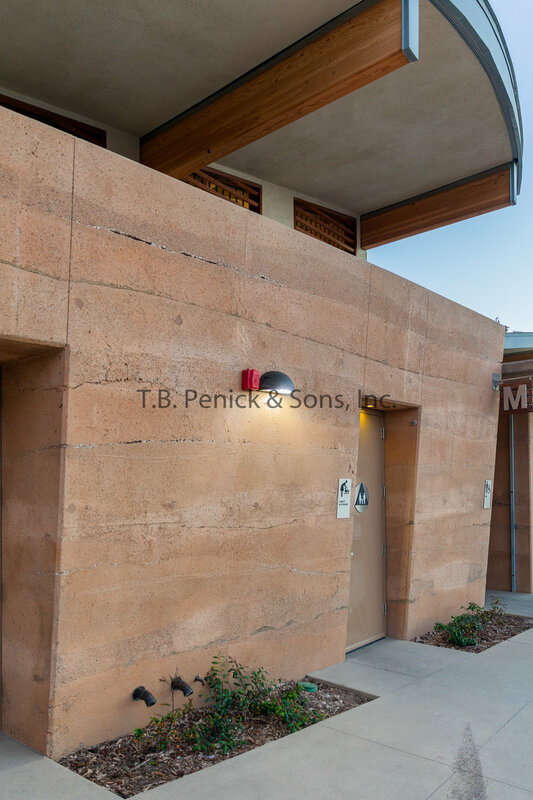 What made this project difficult was that the crew had to create a bathroom and garage using a large vertical application of sedimentary walls. 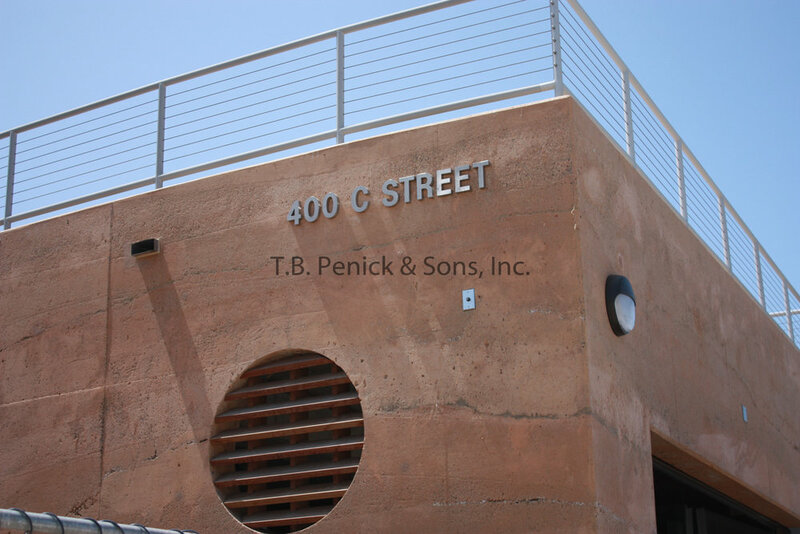 The reason this project was difficult was that the walls were at 25 feet as well as some walls were at 80° on a slant as well as a radius. This made it essential for us to meet with an Engineer to have him design forms for us. Since the architect wanted the look of the strata of the coastal bluff the crew was told they would be using two neutral colors. Since this design was to be continuous the crew needed to take wooden board to paint on the design from the architect to make sure the path could be followed by the crew. Another important aspect was that the crew needed to create these boards by lining them up side by side, no side was the same and it was critical to have the lines line up from one section to the next. Now the process of the actual pour became essential as well because the crew had to come up with a way to pour and meet the design of the architect. This was where the outline of the boards came into play. As well as the idea of using the PVC piping as a means to funnel the mixes of aggregates and shells down because they had to meet a certain level for each layer as well as slowly seed the materials. In order to accomplish this there needed to be one guy feeding the bag with rock and shells while another guy would slowly move the PVC pipe while in a crane so that they could follow the path correctly as indicated on the board formers. Since there were two colors within this project they also needed to have two different pumps with trimmings onto it at the same time. Overall the project came out beautifully and the crew overcame many obstacles. Our crew is one that truly rocks.